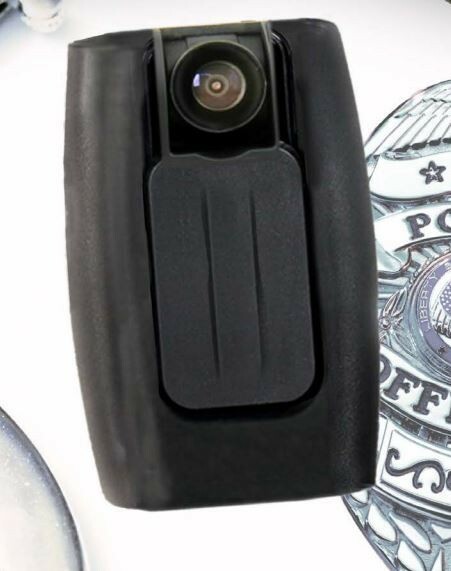 As the ripples of last year’s national and local police-involved shootings reverberate through the country, Eureka’s police department is considering outfitting officers with wearable cameras. Chief Andrew Mills supports the idea, but said much needs to be sorted out before it will happen. Mills’ plan is to repurpose $60,000 currently earmarked for police car dashboard cameras and use it for body cameras. That shuffle will require city council approval, but Mills said there are lots of legal questions to be answered first. “Can or should police officers record all contacts with the public? If so, how about victims of domestic violence or sexual assault? How about citizens who wish to give information anonymously to the police. Must they be recorded? “Is all of this video subject to the public records act? A recent case in Washington brought to a halt one program because a person filed for all of the video collected and it would have taken a full-time staff to just download the video to produce for the PRA. “Much of the video recorded will be exculpatory. How is this video transmitted to the DA, Defense or Court? Who pays for it? “Is the technology available locally to realistically store this much data. We spoke with one department who paid a great deal of money to broaden the band width in order to upload that much data to the Cloud. Those are questions that the department is trying to answer, Mills said, adding that the project is in the very early discussion stage. The city attorney will look into legal precedents that could answer many of those questions, he said. Sgt. Joshua Siipola, the former president of the Eureka Police Officers Association, said the association hasn’t sat down to formally discuss body cameras, but he sees them as an inevitability. To Siipola, it’s not if officers will wear cameras, but when, and what will be done with the footage? The association will also be interested in what punishments will be in place for officers who refuse to activate cameras, Siipola said. In September, Tommy McClain was shot to death by a Eureka police officer who thought McClain was reaching for a gun, according to a police department review of the shooting. Referencing that and other incidents, City Manager Greg Sparks told KINS radio in December that body cameras could potentially save the city money from lawsuits associated with police actions. Mills said a current EPD officer wrote a paper in college exploring the issue of body cameras, indicating it would help the department decide if and how it would implement the program, but Mills said he wouldn’t release the report yet. The U.S. Department of Justice laid out recommendations for implementing body-worn cameras for police officers in it’s own report, saying “A police department that deploys body-worn cameras is making a statement that it believes the actions of its officers are a matter of public record. National Public Radio’s All Things Considered aired an interesting report on body cameras on Thursday. You can listen to it here.